Oberheiden, P.C. Attorneys Defend Family Doctors Across the U.S.
Family medicine specialists are under attack. Recent federal cases across the country suggest that family doctors are particularly exposed when it comes to Medicare and Medicaid Fraud accusations and intense health care audits. For one, family doctors see high volumes of federally insured patients, which makes them attractive marketing targets for home health care and hospice care programs—two of the most scrutinized areas of health care fraud. For another, the government has taken the position that many services hard-working family doctors have provided to their patients for years, are now suspect activities. Prescribing controlled substances is one such example. Virtually across the U.S., federal prosecutors have charged primary care doctors for criminal violations of the Controlled Substances Act arguing that they would lack the level of expertise and would thus prescribe medically unnecessary opioids. Equally, what may begin as a seemingly harmless health care audit or ZPIC request has increasingly turned into a formal investigation. Under 18 U.S.C. 1347 and 18 U.S.C. 1349, federal prosecutors have the authority to charge physicians of federal felonies in connection with health care programs. Equally, under 21 U.S.C. 841 and 21 U.S.C. 846, the federal government has charged family doctors nationwide with criminal violations of the Controlled Substances Act for allegedly prescribing medically unnecessary opioids. As the following examples demonstrate, penalties in case of a plea or conviction at trial are severe and must be avoided at all costs. A family medicine practice group in South Carolina has agreed to pay the United States over $2 million for its role in an alleged health care fraud scheme. 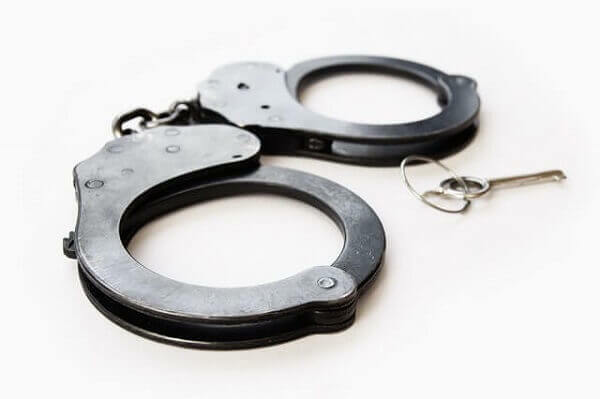 Family Medicine Centers of South Carolina (FMC), a physician owned chain of family medicine clinics located throughout South Caroline was charged with submitting false claims for reimbursement to Medicare and Tricare. FMC, at the direction of one of its owners, was paying its physicians a percentage of the value of laboratory and other diagnostic tests that they personally ordered through FMC. These percentage payments were in violation the physician self-referral prohibition under the Stark Law. The Stark Law forbids an entity from billing Medicare for services for which physicians have a financial relationship with the entity. This law aims to ensure that a physician’s medical judgment is not skewed by improper financial incentives. Since FMC agreed to settle the allegations against it, there has been no finding of liability. A general practice doctor in Ohio was permanently barred from practicing medicine for his role in illegally prescribing and selling controlled substances. According to the complaint, Dr. Michael Tricaso, an osteopath from Akron, met with individuals in parking lots to directly sell opioids, mainly Oxycodone. Oxycodone is a legitimate painkiller, but it can be highly addictive and cause serious side effects, including respiratory distress and even death if not taken in moderation. Dr. Tricaso would also prescribe opioids to patients, including Oxycodone for no legitimate medical purpose. After being served with the Federal complaint based on his alleged wrongdoings, Dr. Tricaso voluntarily surrendered his ability to both prescribe medications and to practice medicine. In October 2018, a federal judge approved a permanent injunction that forbids Dr. Tricaso from ever reactivating his medical license in Ohio or any other state. A primary care doctor in Ft. Lauderdale, Florida was convicted by a federal jury in June 2018 for his participation in a scheme to illegally distribute controlled substances. Dr. Andres Mencia, ran the Adult & Geriatric Institute of Florida in Oakland Park, Florida. According to evidence introduced at trial, Dr. Mencia would sell patients opioids in exchange for cash payments. Dr. Mencia would write opioid prescriptions for patients for no legitimate medical purpose and often would not see the patients before writing the prescriptions. Employees of Dr. Mencia were also involved in the scheme and would help Dr. Mencia determine which patients were “cash paying.” The employees involved in this scheme have plead guilty to conspiracy to defraud the United States by unlawfully distributing controlled substances. Dr. Mencia’s “cash for drugs” scheme occurred between January 2014 and October 2017. A federal jury convicted a Los Angeles primary care doctor of engaging in an illegal Medicare kickback conspiracy. According to evidence presented at trial, Dr. Kanagasabai Kanakeswaran, would refer his patients to a home health agency in exchange for payment. Most of the patients Kanakeswararan referred were not eligible for home health services. As a result of the scheme, Medicare paid out $4.1 million. Kanakeswararan was convicted of one count of conspiracy to pay and/or receive kickbacks for Medicare referrals and four counts of receiving kickbacks for Medicare referrals and is currently awaiting sentencing. FBI Investigation v. Physician. Oberheiden, P.C. attorneys successfully cleared a family medicine specialist of violations of the Controlled Substances Act and health care fraud allegations. Our attorneys made sure the physician was not charged and he continues to practice to this day. No criminal charges. OIG Investigation v. Physician. Oberheiden, P.C. attorneys saved a family medicine doctor against Medicare fraud charges relating to allegations of accepting unlawful kickbacks. Our representation resulted in no criminal charges. No criminal charges. FBI Investigation v. Physician. Oberheiden, P.C. attorneys avoided Medicare Fraud charges against a family medicine doctor. The investigation alleged overutilization and overbilling of Medicare services. No criminal charges. FBI Investigation v. Physician. Oberheiden, P.C. lawyers successfully saved a physician from being included in a federal health care fraud conspiracy indictment. No charges were filed against our client due to our intervention. No criminal charges. DEA Investigation v. Physician. Oberheiden, P.C. attorneys represented a physician accused of prescription fraud under 21 U.S.C. 841 and 21 U.S.C. 846. Our intervention on behalf of the doctor resulted in no criminal charges. No criminal charges. FBI Investigation v. Physician. Oberheiden, P.C. lawyers defended an internal medicine doctor against allegations of health care fraud and receiving unlawful kickbacks in exchange for referrals. Our representation resulted in no charges against the doctor. No criminal charges. DEA investigation v. Physician. Oberheiden, P.C. successfully defended an internal medicine practitioner against criminal violations under the Controlled Substances Act. Our engagement resulted in no charges against the physician. No criminal charges. FBI Investigation v. Physician. Oberheiden, P.C. attorneys were able to avoid criminal charges on behalf of an internal medicine doctor. The physician was accused of having accepted illegal kickbacks. No criminal charges. FBI Investigation v. Physician. Oberheiden, P.C. attorneys defended an internal medicine doctor against billing fraud charges. Our representation allowed us to clear the doctor and to avoid criminal charges being filed. No criminal charges. OIG Investigation v. Physician. Oberheiden, P.C. attorneys cleared an internal medicine specialist against allegations of overbilling Medicare and health care fraud. The doctor continues to practice without licensing restrictions. No criminal charges. FBI Investigation v. Physician. Oberheiden, P.C. attorneys defended an internal medicine physician against Medicare fraud charges. The government agreed to not file an indictment due to the defense work of our attorneys. No criminal charges. FBI Investigation v. Physician. Oberheiden, P.C. attorneys defended a surgeon against pending grand jury criminal charges for his alleged involvement in a criminal kickback scheme. No criminal charges. Get the Trusted Oberheiden, P.C. Attorneys on Your Team Today.